November Newsletter noCRM: new commission rates & more! Hello, and welcome to our November Newsletter noCRM. Our very first infographic is now out and about! 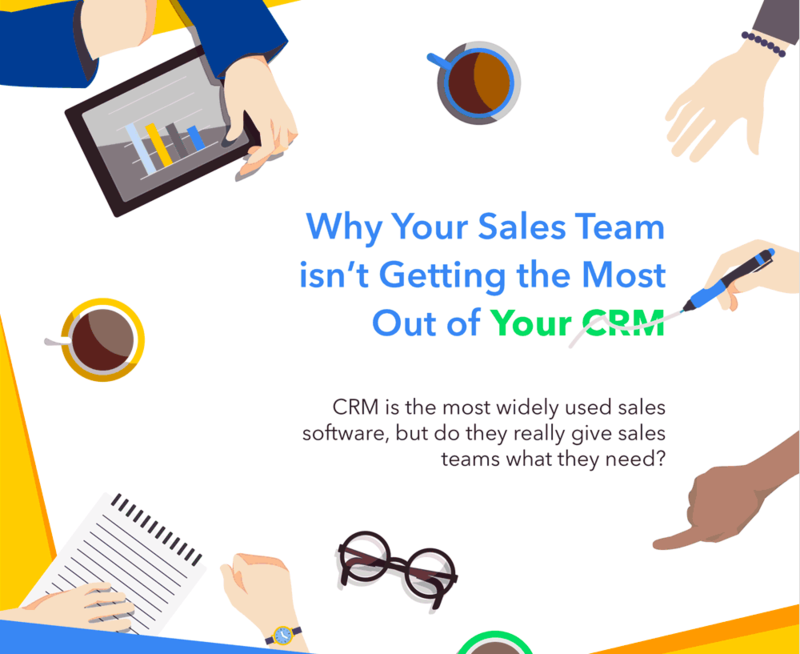 Customer relationship management (more commonly known as CRM) software is the go-to sales tool for most companies – but is it the right choice for salespeople? As a broker or a reseller, you often need to keep track of the commissions you make out of every new deal you close. In order to help you do that, noCRM.io’s Expert Edition now offers the possibility of adding a “percentage field” to your leads. The new percentage field can also be used to manage discounts, or any sort of percentage you may need to keep track of. But that’s not all. We’ve also added a new number field, which will allow salespeople to define the amount of products a lead is willing to purchase for example. Both Number and the Percentage fields are taken into account in your noCRM.io’s Statisitcs. To find out how to activate these fields and use them, read our Help Center entry. Liked what you read? 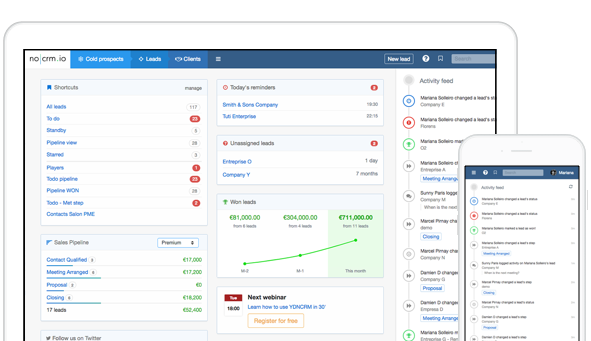 Want to see it live but you don’t have a noCRM.io account yet? No problem. Start your free trial now!